The ACCC Health Insurance Company review is a review of the ACCC Insurance Company headquartered in Houston in Texas. 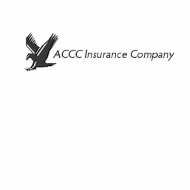 The ACCC Insurance Company was founded in 1997. Start your search for the best health insurance rates today with our free online tool. Enter your zip code now to begin. The ACCC Insurance Company specializes in car insurance and even though the ACCC Insurance Company does not have a significant online presence some information about the company can be found. The ACCC Insurance Company does business in seven different states. The seven states in which the ACCC Insurance Company does business are Texas, Alabama, Georgia, Mississippi, New Mexico, Louisiana, and South Carolina. In the state of Texas the ACCC Insurance Company is located in Houston. The ACCC General Agency location is at P. O. Box 680247, Houston, Texas 77268. The phone number for this location is (888) 823-0888. The fax number for this location is (888) 862-2260. The ACCC Claims Service location in Houston is located at P. O. Box 680048, Houston, Texas 77268. The Phone number for this location is (888) 879-8363. The fax number for this location is (281) 919-0201. The office hours for both of these locations is Monday through Friday 8:30am through 5:00pm Central time. The ACCC Insurance Company’s location in Alabama is located at P. O. Box 660487, Birmingham, Alabama 35266. The phone number for this location is (866) 675-3535. The fax number for this location is (866) 676-3636. In Georgia the ACCC Insurance Company office is located at P. O. Box 3750, Alpharetta, Georgia 30023. The phone number for this location is (866) 820-5603. The fax number for this location is (866) 820-5608. The Louisiana ACCC Insurance Company office is located at P. O. Box 69005 Alexandria, Louisiana 71306. The phone number for this location is (800) 672-2818. The fax number for this location is (800) 871-5442. All of the Eastern time zone ACCC Insurance Company locations have office hours Monday through Friday 8:30am through 5:00pm. There are no office addresses listed for the ACCC Insurance Company locations in Mississippi, New Mexico, and South Carolina. The ACCC Insurance Company employees around 300 people. These employees include those that are field appraisers, litigation adjusters, clerical staff, underwriters, management, actuarial, information technology technical support, accounting, human resources, software development, marketing, training, sales, development, attorneys, and paralegals. All of the ACCC Insurance Company employees are skilled with property and casualty insurance, specifically car insurance. The employees of the ACCC Insurance Company enjoy a wide range of employee benefits. Some of these employee benefits include a choice of three different health insurance plans, dental coverage, life insurance, accidental death and dismemberment coverage, profit sharing, a 401 (k) plan, an annual bonus, paid holidays, paid time off, tuition reimbursement, and even a exercise facility located onsite. Health insurance is the only way to protect a person from the extreme costs that come with sickness and accidents. Even regular medical checkups can be very costly. Most insurance providers that offer health insurance offer multiple health insurance plan options. The health insurance plan options include individual medical coverage, Medicare supplement insurance, hospital income coverage, and Medicare Part D coverage. Individual health insurance plans are the most common types of health insurance coverage. These plans can include high deductible health insurance plans, short-term medical coverage, fixed indemnity plans, and health savings accounts. A Medicare supplemental health insurance plan is a special plan for senior citizens enrolled in Medicare that helps cover medical costs that are not included in their Medicare coverage. Some of these medical costs can include coinsurance, deductibles, and co-payment. Some supplemental plans will also cover the costs of medical procedures not covered by the Medicare program. Medicare Part D plans are special plans for senior citizens enrolled in Medicare that covers the costs of prescription medications. Over time the cost of medical prescriptions can add up to cost much more than medical procedures themselves. There are multiple types of Medicare Part D plans that a person can choose from. Some of these options can include plans with a fixed co-payment, preferred drug plans for generic drugs, plans with no deductible, and plans with special budget considerations for people on a fixed income. The ACCC Insurance Company does not offer any type of personal health insurance. To find the companies in your area with the best health insurance rates enter your zip code now!